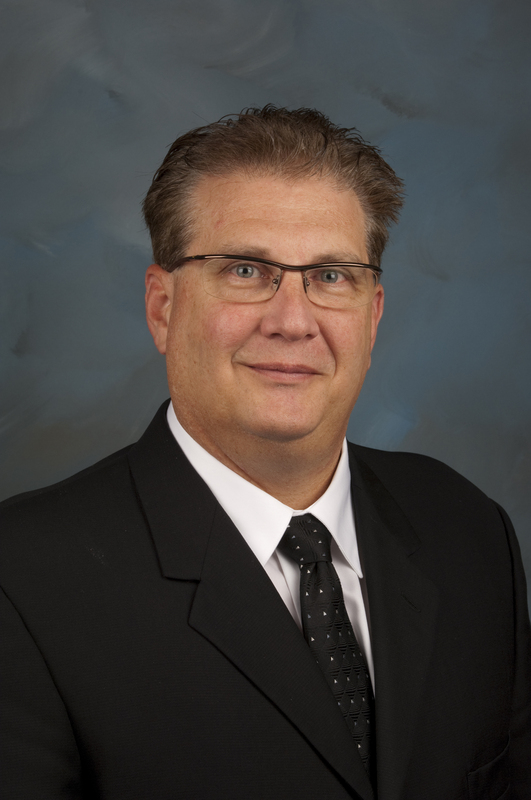 Editor’s Note: Richard Vierling recently joined Texas A&M AgriLife Research where he is responsible for the Vernon Research & Extension Center, Texas Foundation Seed Service, and business development for the AgriLife Centers. Vierling joins from National Corn Growers Association (NCGA) where he spent six years in research and business development. Vierling has big plans for his role at Texas A&M, in particular promoting the research’s facilities to agtech startups to come and ground truth their technologies. We caught up with Vierling to find out more about his plans and to hear his views on how the agtech startup scene is developing. We caught up with Vierling to find out more about his plans and to hear his views on how the agtech startup scene is developing. How long were you at NCGA and what are your key takeaways from your time at the association? 1. Even though farmers are technology savvy and are constantly being bombarded with new technology, they feel that very few people are asking them what problems they need solving. 2. Another worry is the lack of investment in production research — such as tillage practices, cover crops, the timing of chemical applications, and forages for grazing — because production practices will change as farmers adopt new technologies to address issues including sustainability, resource management, transparency, and specialization. It is a mistake not to invest in production research because, according to USDA data, investment in production research has a very high ROI. 3. Big data ownership and who has access to data worries farmers because the more companies that know about their operations, the more likely they could manipulate inputs prices against them. There are also concerns about regulators having access to farmer data. Don’t misconstrue my statement to mean that farmers don’t care about the environment. In fact, it is just the opposite; no one is a better steward of the land and environment than farmers are because their livelihood depends on them. How did you see the agtech startup space develop during your time at NCGA including farmer demand for innovation? Farmers know they must continually adopt new technology if they are going to survive and I do not believe that will ever change. Farmers produce commodities, so it is natural that over time farms have gotten larger and they have benefited from economies of scale. I believe that agriculture production is ready for disruptive technologies that will assist producers with decision making and efficiency. Because the industry is ripe for disruptive changes, we have seen non-traditional ag companies and investors move into the ag arena. I believe they need some help and a reality check at times. I have told them many times that they may know the ag industry but if they don’t understand farming and ranching they are not going to be successful. What are the main challenges for agtech startups based on your experience? A deep knowledge of farming and ranching. Startups need to understand what the key decisions are that producers make that impact their bottom line. In other words, what is important to them. A lot of technologies are very cool, but they do not solve a problem or improve the bottom line. A huge problem is going to the marketplace without any meaningful data, that won’t fly with tech-savvy producers. Another challenge is when companies evaluate their technologies in a bubble rather than as a part of an integrated system. What is your new role at Texas A&M AgriLife Research? I am responsible for the Vernon Research & Extension Center, Texas Foundation Seed Service, and business development for the AgriLife Centers. As I have been developing a strategic plan, I am focusing on the three Ds, Discovery (the generation of new knowledge), Development (the application of new knowledge to solve problems), and Delivery (working with Extension and/or private companies to get these solutions adopted by producers). Since the ag industry is ripe for disruptive change, and it will come, I believe public research needs to adapt to remain relevant. In my mind, we need to be strong and coordinated in the three Ds, Discovery, Development, and Delivery. They are all equally important and should be part of a systems approach to be effective. Unlike some industries, agriculture does not have an extensive contract research network. I would like the Vernon Center to fill that void. I want the Vernon Center to work with industry partners, startup companies, and investment groups to vet technology. We have the experienced, multidisciplinary faculty and facilities to be the go-to location for ground truthing new technologies using a systems approach. I believe the lack of ground truthing is a leading cause of ag startup failures. By ground truthing, I mean field-scale research, not a few rows or small plots. That also includes animals in confined feeding operations or on the range. By moving to larger scale, we can not only quantify the economic benefits that are needed to sell the technology, but we also can identify harmful unintended consequences that will kill the technology. I personally believe that no one should go to market without first working with us and letting us put it either in the ground or on the hoof. Over the years, there have been hundreds of millions of dollars invested in our field and lab infrastructure. Today, it would be cost prohibitive to acquire, build, and maintain similar crop and range lands, irrigation, laboratories, and cattle facilities. We know our cost per acre and cost per head of cattle. When you look at the services and infrastructure we provide, it is very cost effective. In addition, Vernon also can coordinate with the other 12 AgriLife Centers. I want to make the Vernon Center the go-to location for the three Ds and for ground truthing technology.